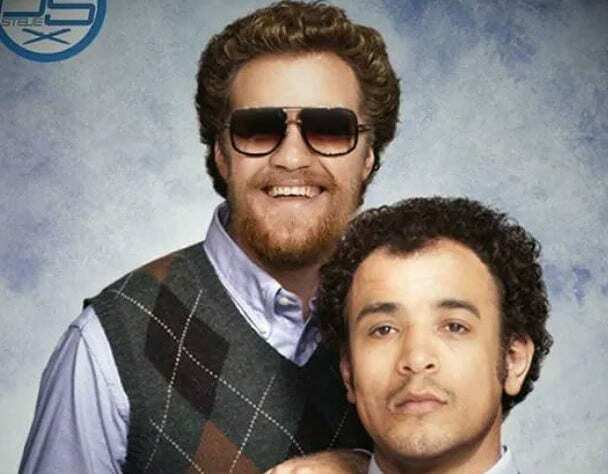 Some genius decided to mash up Conor McGregor and Jose Aldo’s rivalry with the hit movie Step Brothers, and it’s hilarious…. 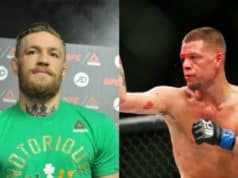 As you probably already know, UFC featherweight champion Jose Aldo and interim boss Conor McGregor are fierce enemies. The young Irish upstart has managed to get under he champ’s skin again and again, with a rivalry dating back over a year at this point. 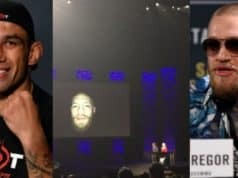 With the log awaited unification bout between ‘Scarface’ and ‘The Notorious’ going down at UFC 194, fans won’t have to wait much longer for the conclusion, or at least the beginning of, to their storied beef. It’s likely there won’t be much laughter when the octagon door is shut and these two featherweight titans clash with fists instead of words. Oddly enough McGregor has been opening as the betting favorite over Aldo. The Brazilian striker is the only ever UFC 145-pound champion and considered the greatest of his weight class in the history of the sport. Is anyone sensing an upset?